Product prices and availability are accurate as of 2019-04-19 00:38:54 UTC and are subject to change. Any price and availability information displayed on http://www.amazon.com/ at the time of purchase will apply to the purchase of this product. The WattEDGE W-1 LED Tactical Flashlight is sure to be your go to light for needs ranging from emergency, construction, hiking, camping, or any late night activities. 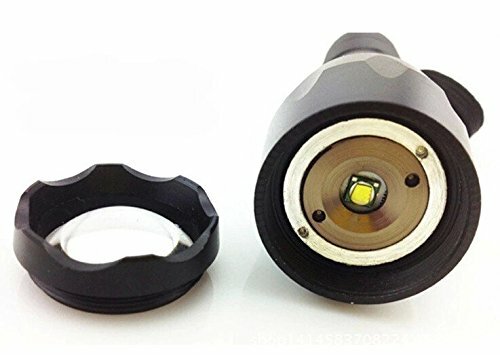 The super bright Cree XML2 LED is a long lasting and produces up to 1000 lumens. Adjustable zoom / focus allows you to hone in exactly on what you are looking for, or to disperse the light throughout an extra wide area. The multiple power options which are a 3.7V 18650 rechargeable battery (not included) or 3x AAA batteries (not included) make this a versatile option for however you would like to power it. Finally this light includes multiple power modes ranging from different levels of brightness to Strobe and SOS. Adjust the modes by depressing the ON/OFF button with a half click. ADD this product to your cart NOW! 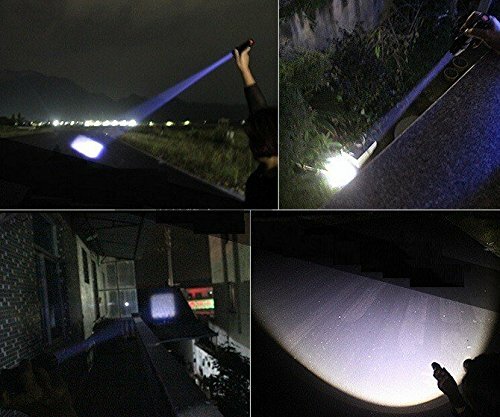 POWERFUL SUPER BRIGHT LED LIGHT: Built with the Cree XML2 LED, this light will be sure to last with a bright output of 1000 Lumens. One of the brightest on the market! DIMMABLE + 3 MODES: This tactical light can output in High / Medium / Low lighting modes, and also features a Strobe and SOS mode. To switch modes, press the On/Off button with a half click. 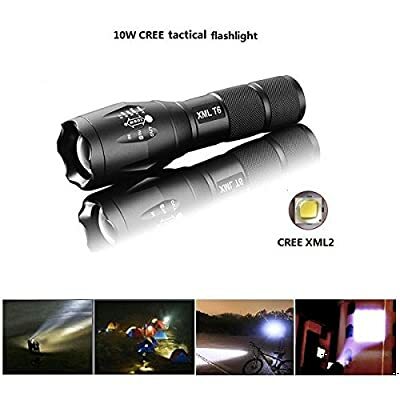 MULTIPLE POWER SOURCE OPTIONS: 1 x 3.7V 18650 Rechargeable Battery or 3x AAA Batteries (Neither Included) ADJUSTABLE ZOOM: Create a super bright wide range of light to flood the area with light, or adjust the zoom to it's maximum of 2000x and focus all the power on exactly where you need it! INCLUDED WRISTSTRAP: Don't risk dropping or losing your light, keep it secure it all times with the built-in wrist strap.